Complete this form and submit the non-refundable $50 application fee to apply for Late Summer Affiliate swim privileges at Merrimack Pool. Your membership will be initiated under this family name. Household members include spouses, children or others living with you. Please indicate whether you live within the boundaries of Goldsboro Rd (S), MacArthur Blvd (W), Wilson Lane (N) and River Road (E). 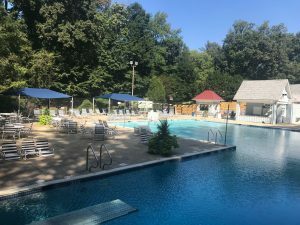 Merrimack Pool may give preference to applicants who reside in neighborhoods surrounding the pool, provided they are willing to purchase an equity membership if one becomes available. How Did You Learn About Merrimack Pool? We would like to say "thank you" for a referral or recommendation. There is a one-time, non-refundable wait list fee.